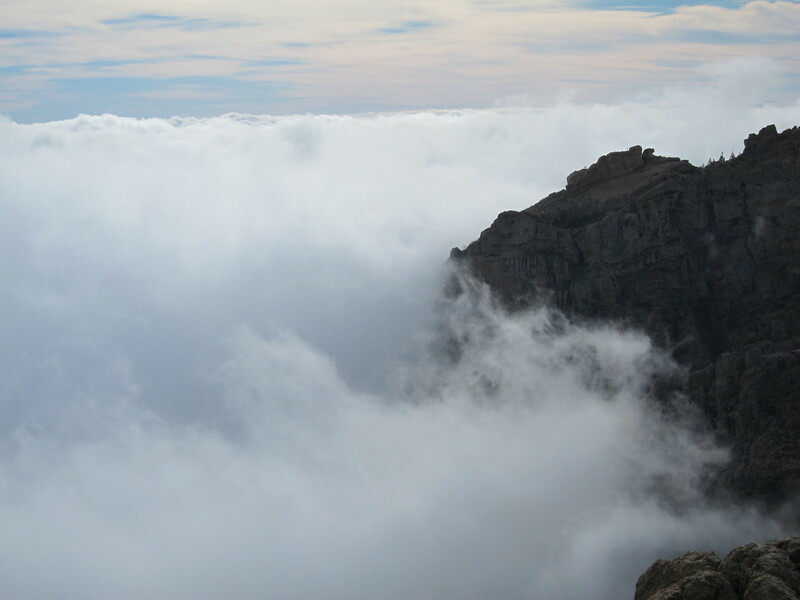 The Pico de las Nieves is with 1949m the highest point of Gran Canaria. 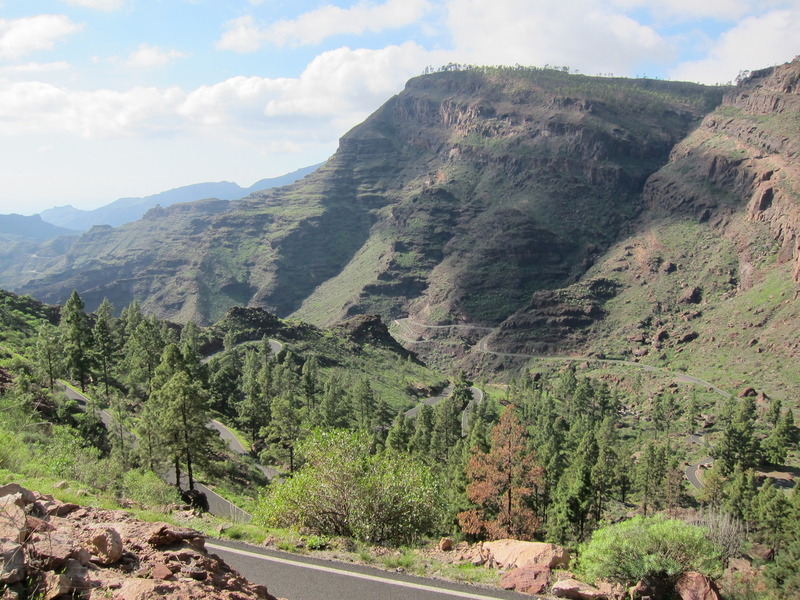 During our holiday in December 2012 we wanted to cycle up there from Maspalomas which is at sea level. Because of the early sunset we had only 10 hours in total - from 8am to 6pm. 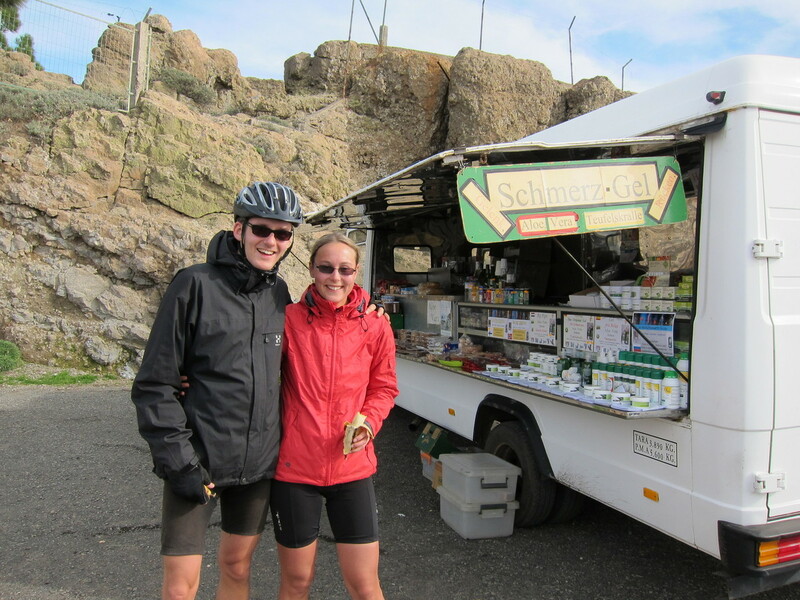 We did not know if it possible to cycle the whole way in 10 hours - but we gave it a try. We decided to turn around at 3pm no matter how far we have got. So we started in Maspalomas at 8am. 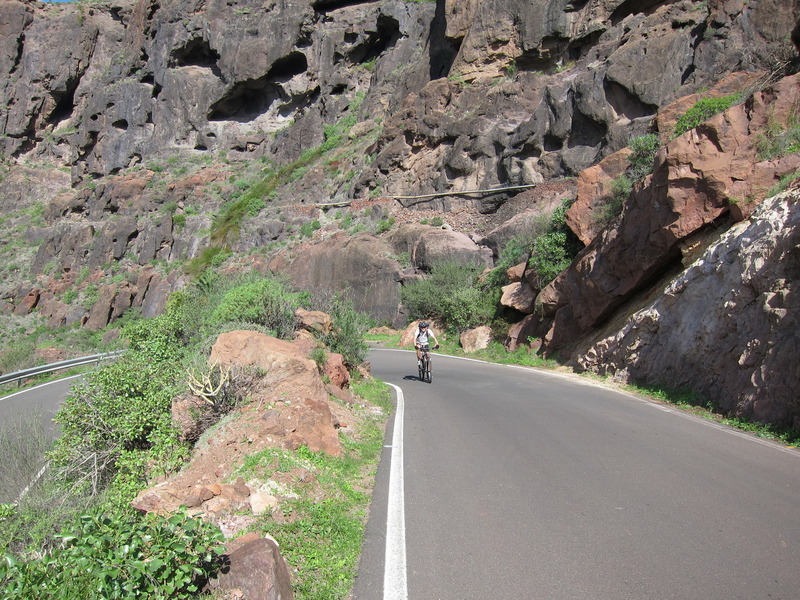 We cycled the coast road up to Arguineguin - always up and down. In the roundabout before Arguineguin we turned right and cycled up to Soria. In Soria after about 1.5 hours we had our breakfast break. 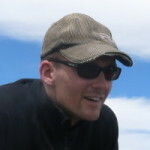 From there on we had to share the road with a cycle race, but that was a lot of fun. 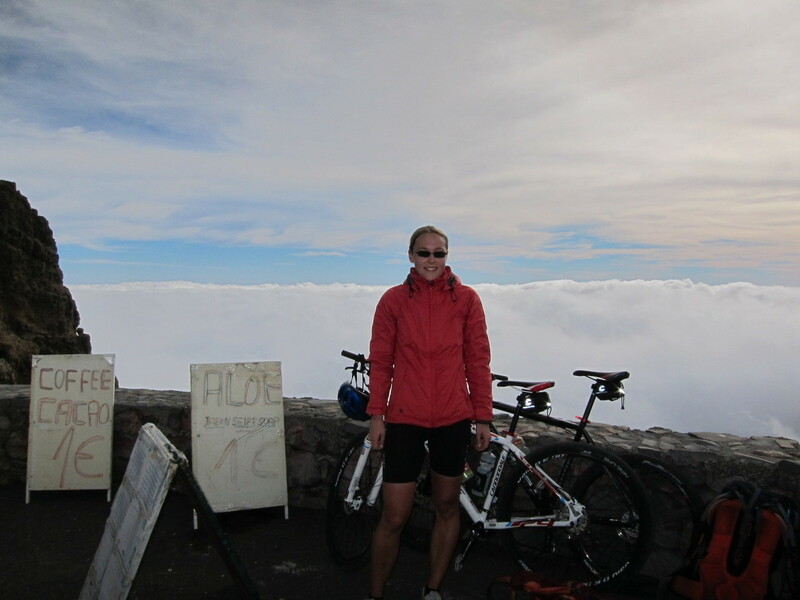 We cycled up many many turns until we arrived at a crossroad. 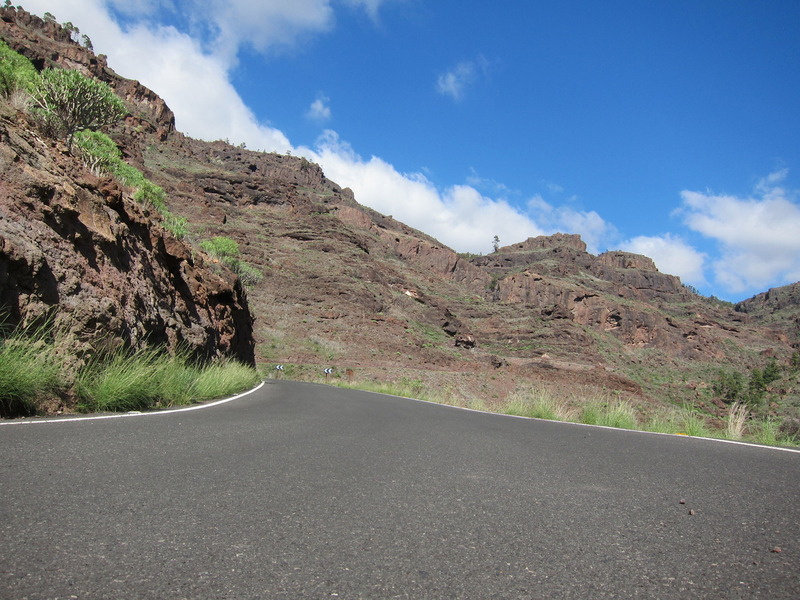 We turned left on the GC-605 in the direction of Preso de las Ninas. 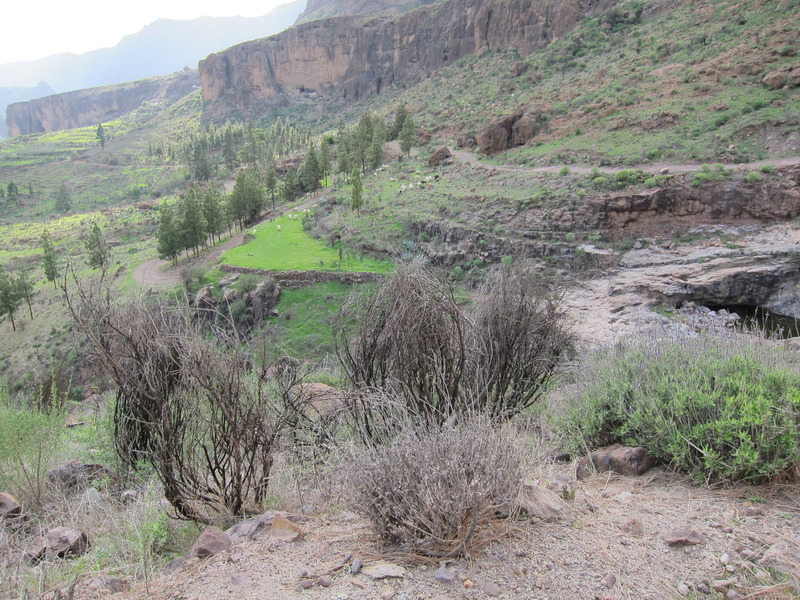 We passed the lake and took another break before continuing the ascend to Ayacata. Now it was about 2pm. 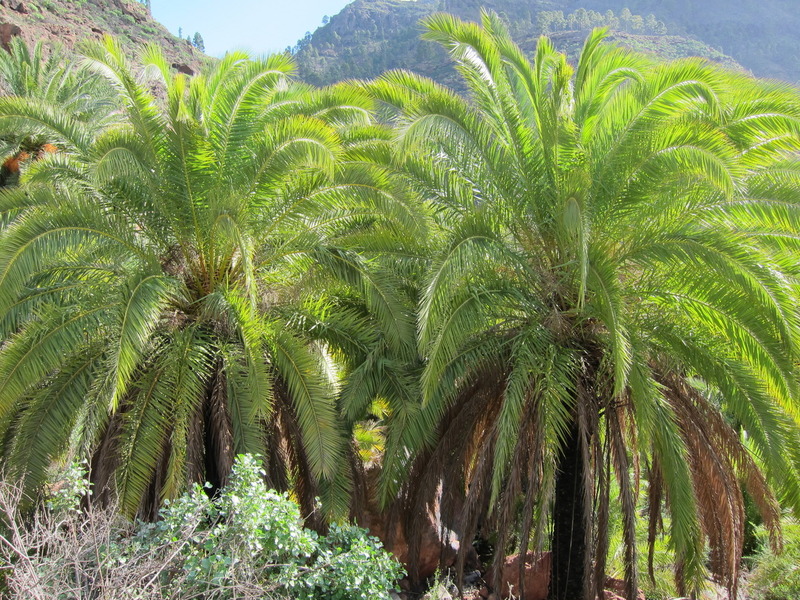 Ayacata is the last village before Roque Nublo and Pico de la Nieves. 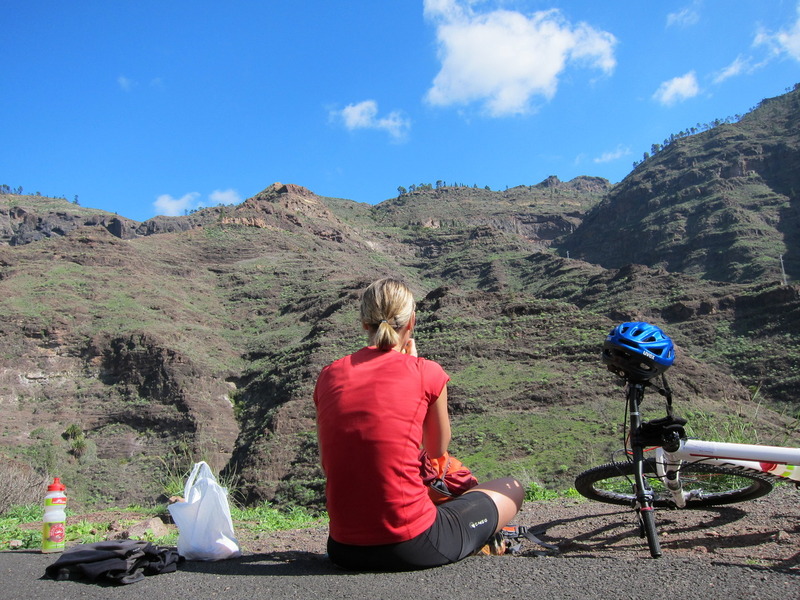 We took no break but continued to cycle up to Roque Nublo. 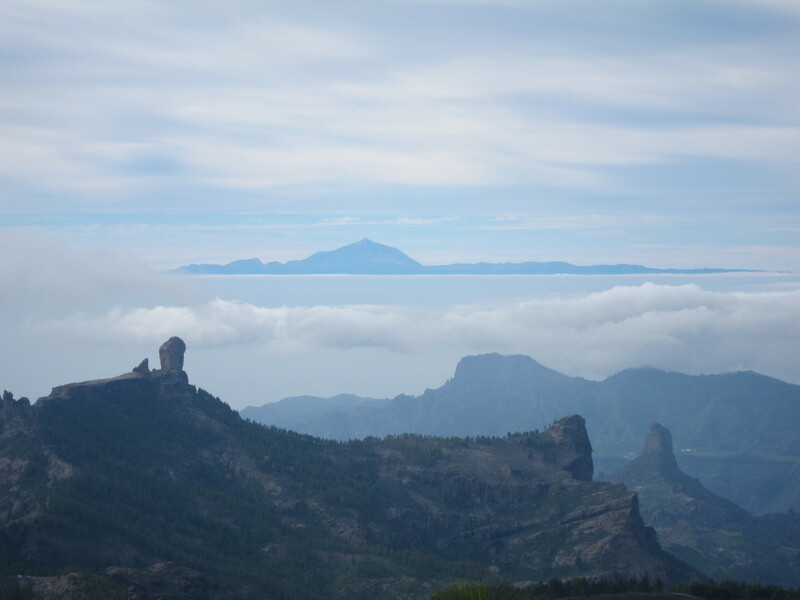 Only 30 minutes later we arrive the landmark of Gran Canaria. 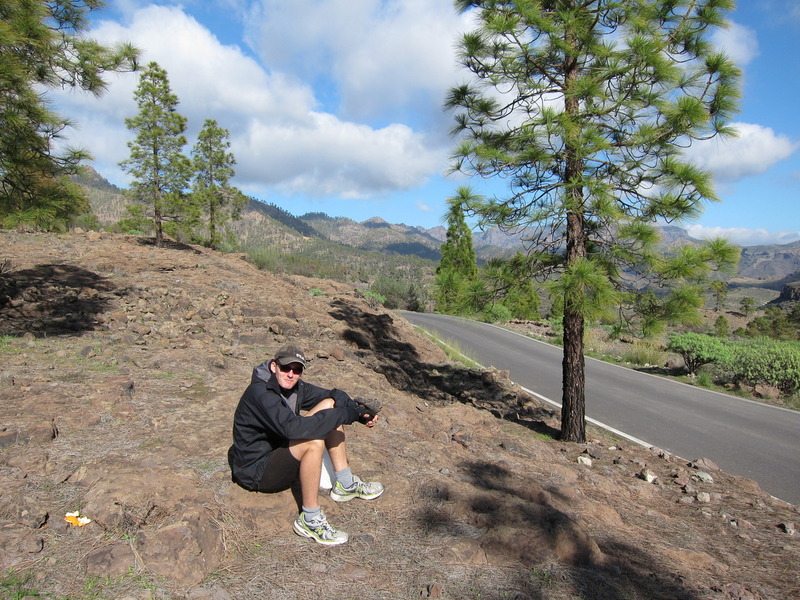 We took a short break and decide to continue to Pico de la Nieves. 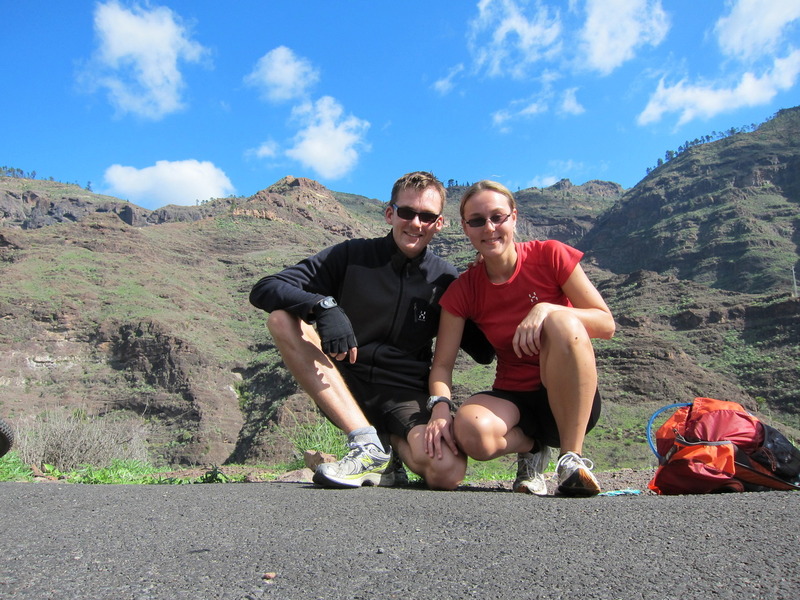 After one more hour - at 2:50pm - we arrive at the highest point of Gran Canaria! The view is amazing! 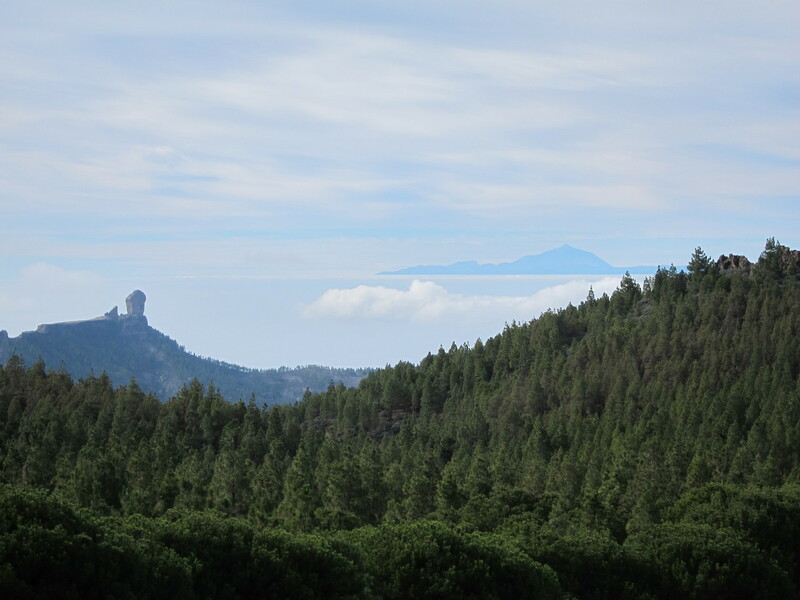 You can see Roque Nuble and the Teide which is the highest mountain of Spain on Tenerife. 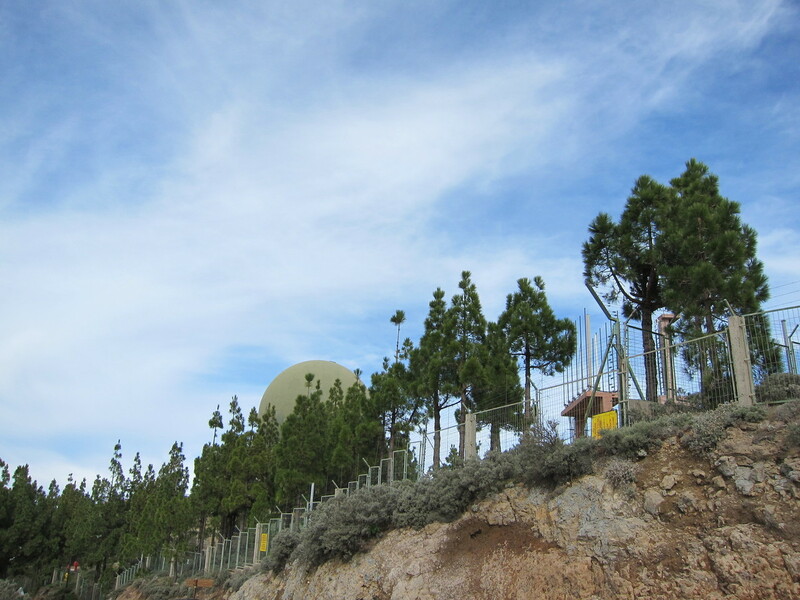 There is a kiosk on top of the Pico de la Nieves. The owner hugs and congratulates us and gives each of us a banana for free. We enjoy the view and take phots. But after a 10 minutes break we have to leave again to continue our way back down to the beach. 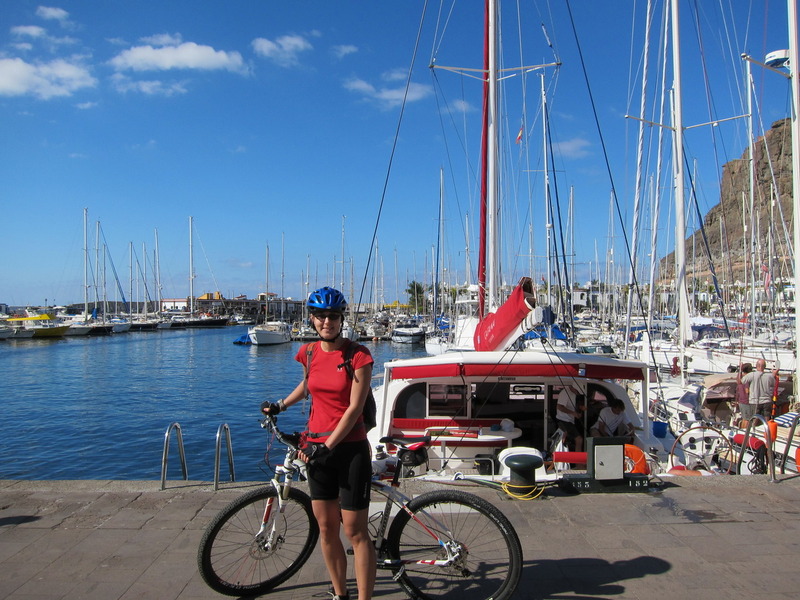 We cycled the coast road from Maspalomas to Arguineguin. From Arguineguin we take a ship to Puerto de Mogan. 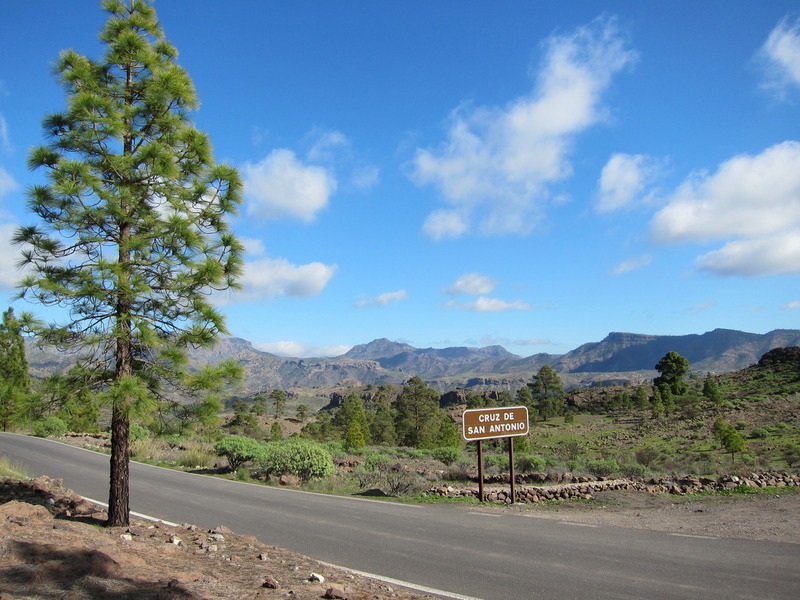 In Puerto de Mogan we follow road GC-1 to Mogan. The road is not as nice as the other roads, because there are quite a few cars on it. But a few kilometers after Mogan we turned right and cycled all the way up to a junction which leads us to Prese de las Ninas. I don't know how many turns there were.. but it seemed endless 😉 Shortly before Presa de las Ninas we stopped at a kiosk (in the middle of nowhere) and bought a cold drink and oranges 🙂 Then we followed road GC-605 for a few kilometers until we turned right and went on a mountainbike trail down to Soria. This trail is just perfect, perfect landscape, no other people, only a few sheep and a bumpy road! 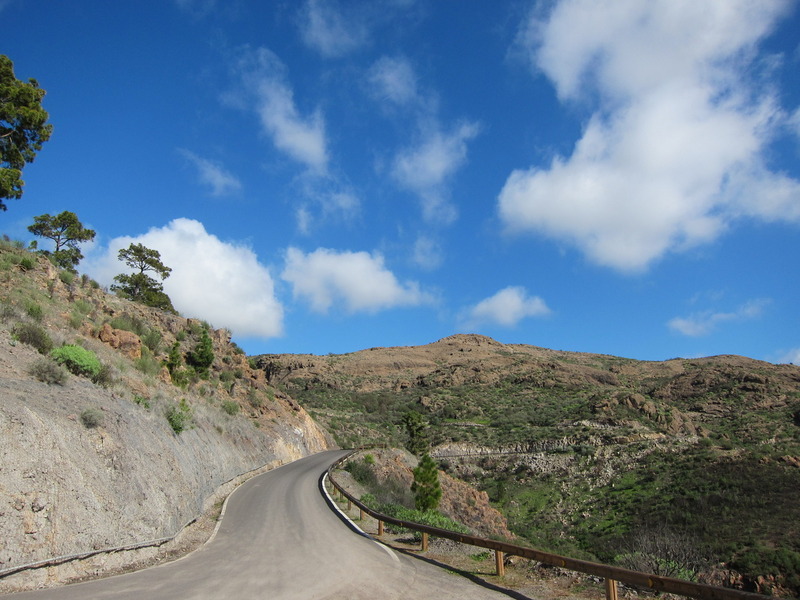 In Soria we take a short break and then cycle back on road GC-505 to Arguineguin. 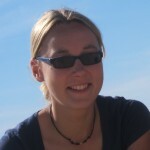 Already quite exhausted we have to cycle back all the way on the coastal road to Maspalomas. 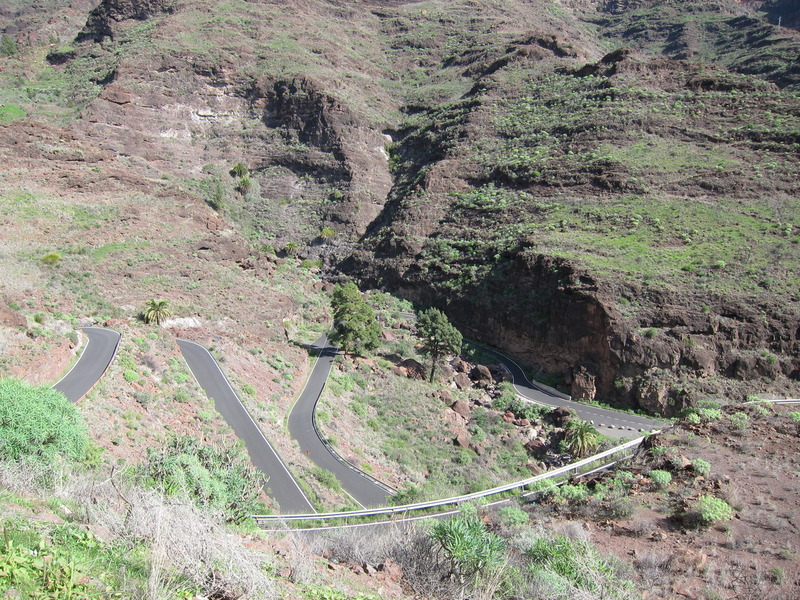 This part always goes up and down and when cycling up everything hurt! But nevertheless a great tour!